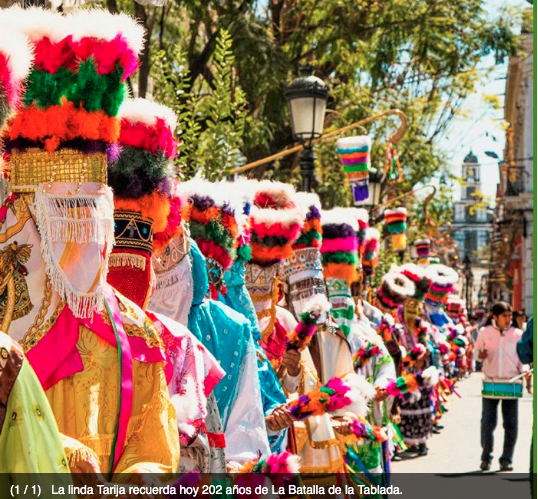 The beautiful Tarija remembers today 202 years of The Battle of the Tablada. When commemorating the 202 years of the Battle of La Tablada, Tarija shows a negative performance, which is reflected in its main indicators, despite the statements of national authorities about the resources received by the region. On April 15, 1817, a decisive battle was fought -in the War of Independence- in the fields of La Tablada de Tolomosa. The “montoneros”, under the command of Eustaquio Méndez, defeated the royalist army presided over by Colonel Mateo Ramírez. Bolivian Thoughts opinion: Let’s not forget that Tarija chose to be part of Bolivia, rather than joining Argentina. People from Tarija are by far amicable, well-mannered and with a great sense of humor. Kudos to all of you dear Tarijeños! This entry was posted in Bolivia and tagged history, independence, Tarija. Bookmark the permalink.